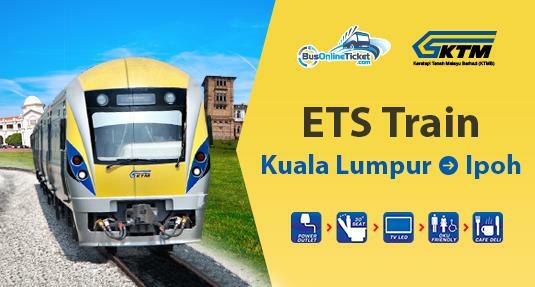 The Electronic Train Service (ETS) has a number of routes running all over Malaysia. But one of the most popular routes would be the ETS Train between Kuala Lumpur and Ipoh, mainly due to a number of places that the train goes through. But there are also certain trips scheduled daily that will go directly to Ipoh. Apart from locals, tourists also prefer to take this ETS Train from KL to Ipoh for a little sight-seeing at spots like Lang Mountain, Kellie’s Castle, Ipoh Railway Station and more. Below is the schedule for the ETS Train from Kuala Lumpur to Ipoh, effective from August 2017. 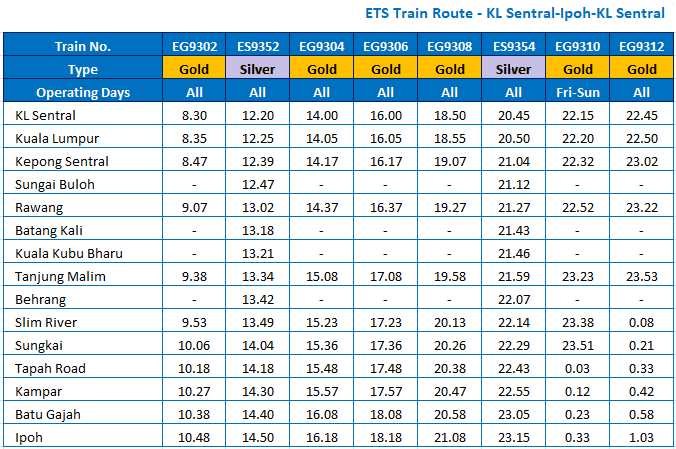 * ETS Platinum is only available via Gemas-Butterworth-Gemas and Gemas-Padang Besar-Gemas route. There are three types of train class for the ETS train service. ETS train from KL to Ipoh depart from KL Sentral Kuala Lumpur, which is one of the important transportation hubs in KL. The well-planned public transportation to connect the areas in KL made it very convenient for the people to travel from one place to another. You can easily go to KL Sentral by taking the LRT, KTM train, KLIA Transit, RapidKL bus or taxi. KL Sentral is usually busy and crowded especially on weekends and public holidays. Therefore, please take care of your belongings and be aware of pickpockets. While waiting for your train departure, you can also check out the new shopping mall Nu Sentral right beside the KL Sentral. Usually, the boarding platform for ETS train in KL Sentral is at the 2nd Floor. 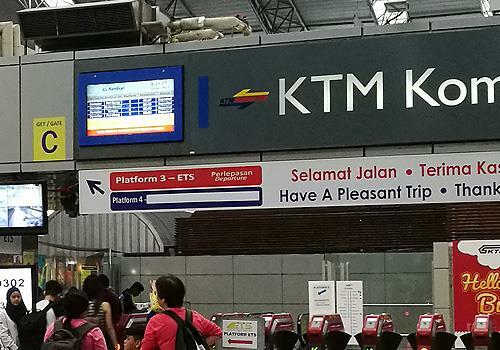 However, recently the boarding platform is changed to the same entrance as the KTM Komuter and the passengers need to proceed to Gate C to ETS Platform. Please note that it is supposed to be only a temporary platform. You can check with the counter for a more accurate information. Info updated on June, 2016. Ipoh Train Station or Ipoh Railway Station is located on the southwest side of the city, nearby the state mosque. The railway station is one of the historical remainings from the British colonial era hence it receives praises for its beautiful architecture. Medan Kidd Bus Station is within 5-10 minutes walking distance if you want to look for local bus to go to your next destination. Once you walk out from the train station, head to the right and just walk along the road until you find many buses parked in a parking area. Alternatively, you can take a taxi. It is advisable for the passengers to book their tickets in advance to avoid having to face tickets being sold out if they go and purchase straight from the ticket counter. With online booking, you can book your tickets for as early as one month before the trip. 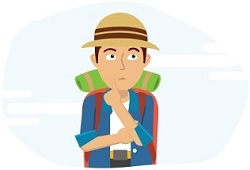 So if you’re planning to head to Ipoh from KL or the other way around any time soon, book your tickets with BusOnlineTicket.com today and rid yourself from the hassle of queuing up at the ticket counter.